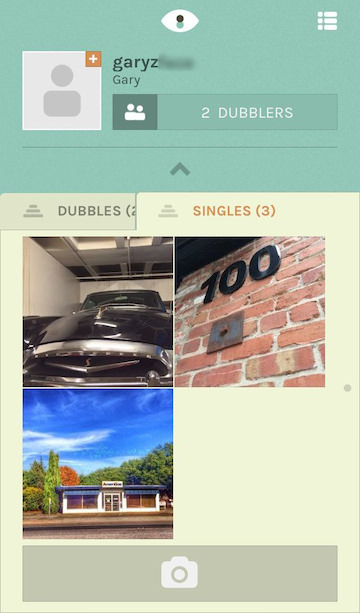 When I heard about Dubble, I was reminded of Rando. Here was a service to upload photos into a hidden network of other iPhone photographers and get something back. After a bit of quick uploads, I was happy to find that mixed with the randomness of who your image will cross paths with is not completely anonymous. 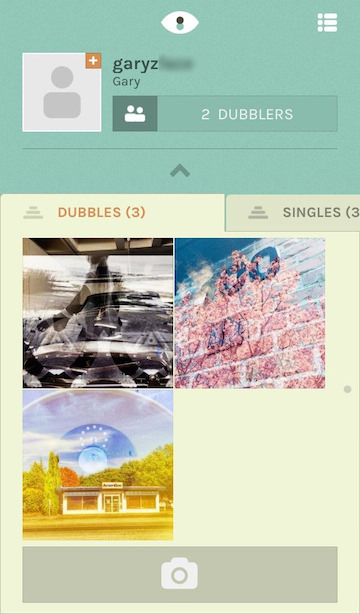 Dubble ‘me’ is a automated free service which takes a image you upload and adds it to a random ‘other uploaded’ photo to create a double exposure photograph. After you create an account, uploading images is either from social networks, your iPhone’s camera roll or taken new within the app. There are no filters or special effects features, if your image needs this, do it before you add it to your Dubble feed. 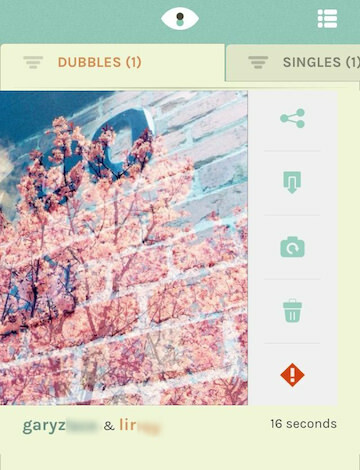 A short time after you upload a photo, a double exposure using that photo and a random someone else’s photo is returned to your copy of the Dubble app. 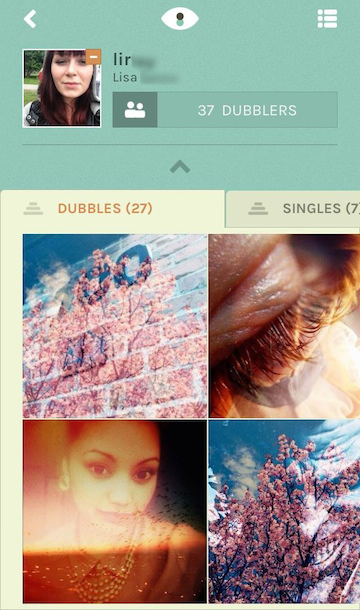 The app lets you keep photos you have uploaded and the double exposures returned using those photos. Below the double exposure is the name of the person that had uploaded the other half of the new image. You can click on their name to view their bio and their other double exposures. Since the final result is a random mix of two photos, a result you may call ‘quality’ is one is… a big number. Swiping a double exposure does give you the power to resubmit the photos for another pairing. Keeping in mind that Dubble is all about fun, you could re-submit a photo quite a few times till you hit on something inspirational. Life.dubble.me is a site covering a few of those winning match ups. Actually, when swiping across a double exposure image, there are a few options to choose from: share the double exposure with others through social media sites, download the image, re-submit your original image for another double exposure (the one already created doesn’t disappear), trash the double exposure and report an images as inappropriate. Deleting, or trashing an image, only removes if from your device. Once an image is submitted, it can not be removed from the service. Since uploaded photos can be absolutely anything, tuning your snapshots to make a possible positive outcome better isn’t a science. I tried a big background like shot, a photo of a little item in the corner of the image, etc… then I remembered that this is for fun so I went back to just seeing what will come of a snap shot joining with someone else’s. 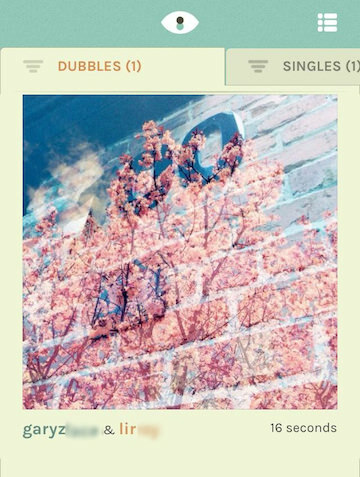 Since Dubble allows the view of drilling through to another person’s account that submitted a photo matched with mine, it is possible to see a lot more Dubble created double exposures rather than being locked to just my single line feed. Which makes the whole adventure more of a pleasant social experience than just upload and shake to see what drops out.